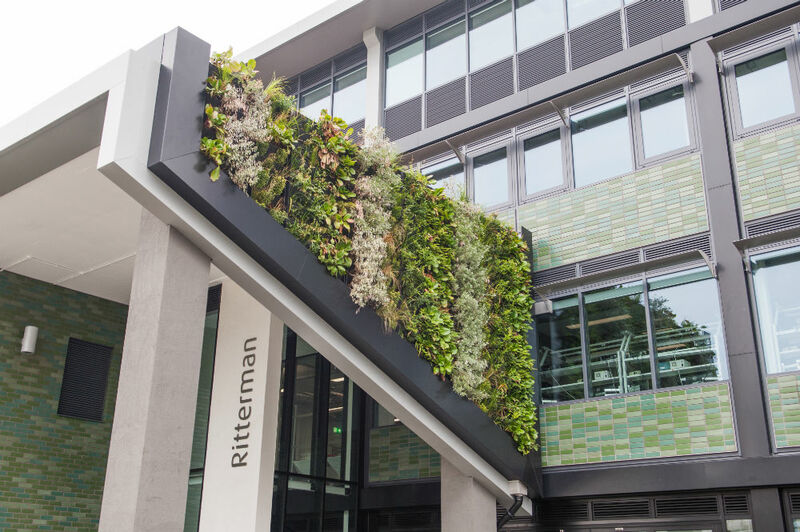 The Ritterman Building is the third on campus to achieve BREEAM Excellent status; the building provides a live source of data to encourage students to engage with their own built environment, such as an environmentally friendly, bio-diverse green living roof, solar panels to generate electricity and energy efficient lighting controls. 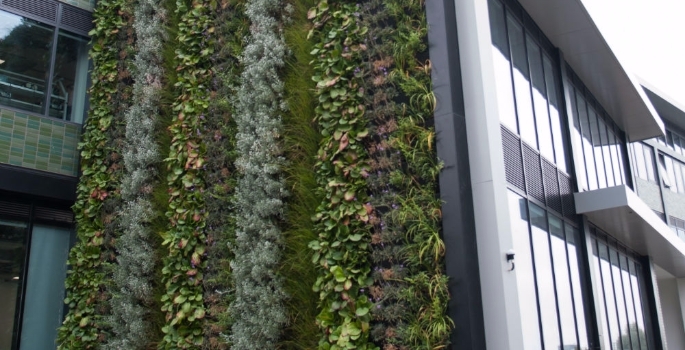 Its living wall has more than 3,500 plants in place to save and recycle water. Architects bpr worked with Interserve Construction to carry out the building work, alongside Tibbalds Planning and Urban Design as planning consultant. What will this new facility offer to boost the student experience at Middlesex? The Ritterman Building has been named to respect our Chair of Governors Dame Janet Ritterman and will be a base for two faculties, Science and Technology and the Arts and Creative Industries. Extensive discussion with the faculties ensured a collaborative design that had a high involvement with both. 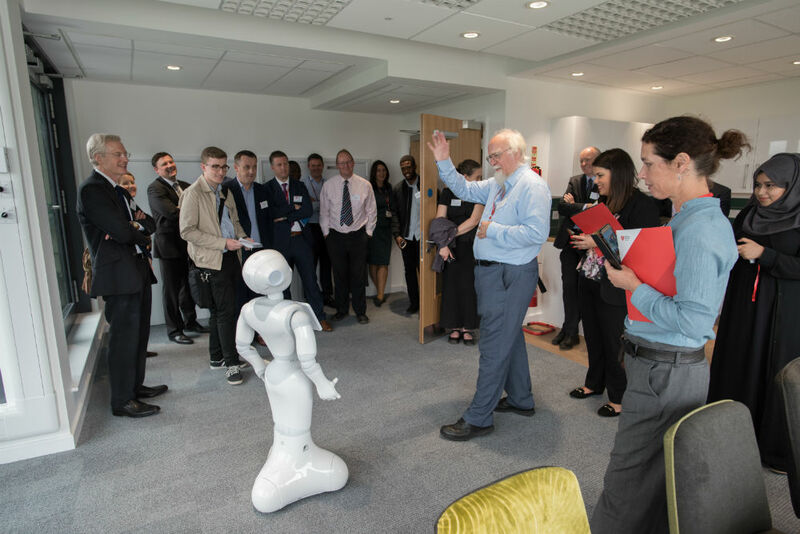 For Science and Technology, the building will bring a number of associated disciplines all together in one building, providing specialist and innovative teaching rooms. In some cases, spaces were designed without standard internal walls and ceilings, so the art equipment and cutting-edge technology can be used both horizontally and vertically to encourage innovative pedagogy. Staff will be located in the building so that they can provide support to students at all times. For Arts and Creative Industries, additional high-quality studio space which can be booked by individual students as well as taught group practice will ensure that students have real flexibility in their teaching and learning. How did the design for the new building come about? 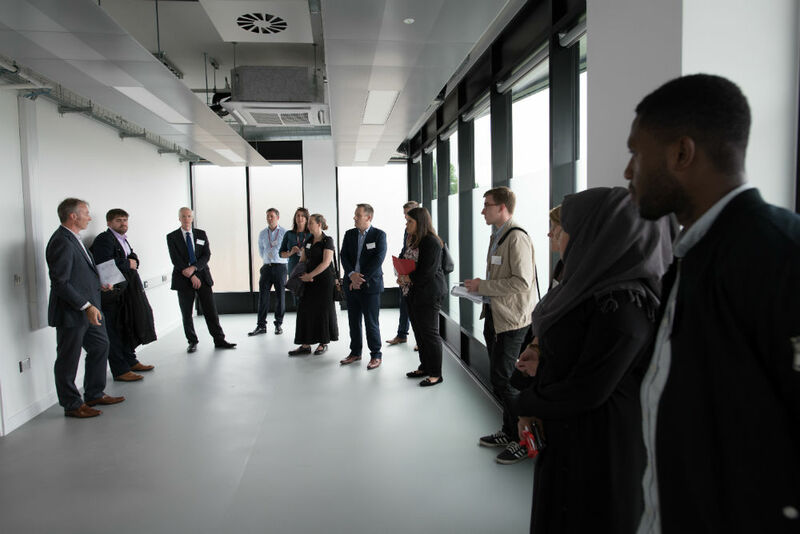 The Ritterman Building forms part of the latest element of the long-term development and investment in teaching and learning facilities at the Hendon Campus, with a focus on qualitative improvement and innovation in facilities which prioritise student experience. The impact of the Ritterman Building extends beyond the building envelope and the surrounding landscaping – external, informal teaching and learning spaces were an integral part of the building design. These landscaped spaces have established an external ‘heart’ to the campus, improving the quality of space in this area which is home to the student recreational and support spaces. It now provides spill-out space from MDX House and from the new café space in the Ritterman Building. This landscaping also creates new accessible routes across the campus. The form of the building responded to these new routes and acted to define these external spaces, creating a public square. The living walls and biodiverse roof extend this landscaping up and over the wings of the building, the solid plinth of glazed tiles embeds the building into the slope of the campus and provides a base for the lightweight glazing above. We selected a variety of colours of green glazed tiles to create a shimmering and variegated effect, framed by the curtain walling system. The diagonal slant of the living wall is continued in the green glazed tiling internally drawing the connection to the landscape into the heart of the building. During the design process, bpr worked to appreciate the complexities of anticipating innovation within higher education building design, and as a result the building provides space which is adaptable, both able to be reconfigured to respond to new technology or new course structures and priorities, but also able to encourage pedagogical innovation. As an example, the dance theatre is co-located with supporting changing space and multiple entrances that feed in from the café, allowing it to operate as a performance venue as well as a teaching space. The Interior Architecture studio spaces are north facing to capture the best quality of light for drawing work and are located adjacent to the Science and Technology Presentation space which facilitates new forms of virtual reality presentation and design sharing. The large-scale art studios share access with the Science and Technology 3D fabrication facilities to allow designers and makers to cross paths and share new ideas, and spill out onto the plinths embedded into the landscape which can support the display of large-scale sculpture or robotic displays. How important were sustainable values in the design and build? The Ritterman Building is the third building on campus to achieve BREEAM Excellent, and this target was a critical part of the design brief. The design team headed by bpr along with the University were keen to integrate innovative green technologies into the building to provide a learning resource for the students, to allow research being done inside the building into augmented reality and to use the building as a live source of data and encourage students to engage with their own built environment. The building was designed using principles which minimise its energy consumption, including the careful orientation and scaling of spaces to ensure openable windows are able to provide natural light and natural ventilation wherever possible. This reduced consumption is coupled with the use of PV panels to generate electricity and other low-energy technologies such as LED lighting and which have become standard practice for all environmentally conscious new buildings. Beyond this the building uses an innovative water management strategy enabled by the cascading form of the building roof, whereby rainwater collected from the main roof feeds the WCs. Surplus water from this system cascades down onto the lower roof where it feeds a bio-diverse living roof, designed to support local wildlife, seeded with wildflowers and providing a variety of habitats for local wildlife. Finally, rainwater which filters through this system feeds into large storage panels located behind the living walls which provide them with natural irrigation. Are there existing plans to develop/refurbish further learning and living spaces on campus in the future? There are plenty of suggestions. At present, we are formulating a new University strategy which will be followed up by an Estates Enabling Plan which will suggest where improvements on the campus will be made for both learning and living space.